Did you ever dream of flying like a bird, bringing your own cartoon characters to life or creating art like a famous painter? We will show you how this is possible with virtual and augmented reality applications developed in Zurich. Max Rheiner, Head of the MA/Interaction program at the Zurich University of the Arts and CTO/founder of the VR start-up SOMNIACS SA, will introduce you to Birdly, a virtual reality flying experience that lets you soar and fly like a bird. Robert Sumner, Associate Director of Disney Research Zurich (DRZ) and Founder of the ETH Zurich Game Technology Center, will share research on “Augmented Creativity”. His demos show the unique potential of augmented reality to enhance creative play and let you look at and get involved with art in an entirely new way. 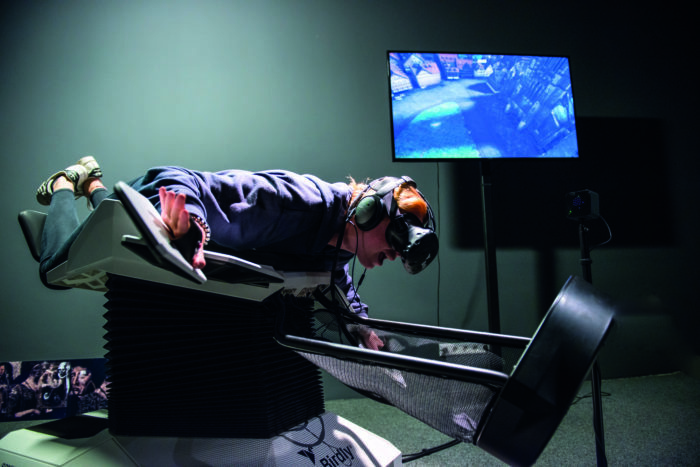 Birdly® is a full body VR bird flight simulator that is based on active components physically manipulating the user’s body and thus providing a breathtaking non-human point of view.